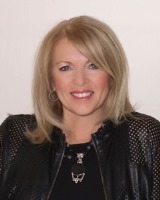 Sandra Allan is part of the Allan & Murphy Team. As your professional real estate expert, I focus on client satisfaction. My business is about service and I am not happy until you are happy. My years in the business have provided me the experience and contacts to assist you with nearly every real estate need. Whether it's finding you a home, finding the best loan, or helping you getting the most out of selling your home I am here to guide you. If there is anything you need, please let me know.